Setting up scanner on archlinux is easy. But before you buy/using any scanner for linux. You must check the devices is compatible or not for linux. You can check it on sane project websites database. If your devices is list as "Basic", "GOOD" or "Complete" then your scanner is compatible with linux. To install on archlinux you just need xsane software. And most of scanner have included optical character recognition (OCR) too on Driver CD. But on linux you can't use that, there are alternative way, it's gocr. Then run the scanner, for this example i'm using Canon LIDE 25. 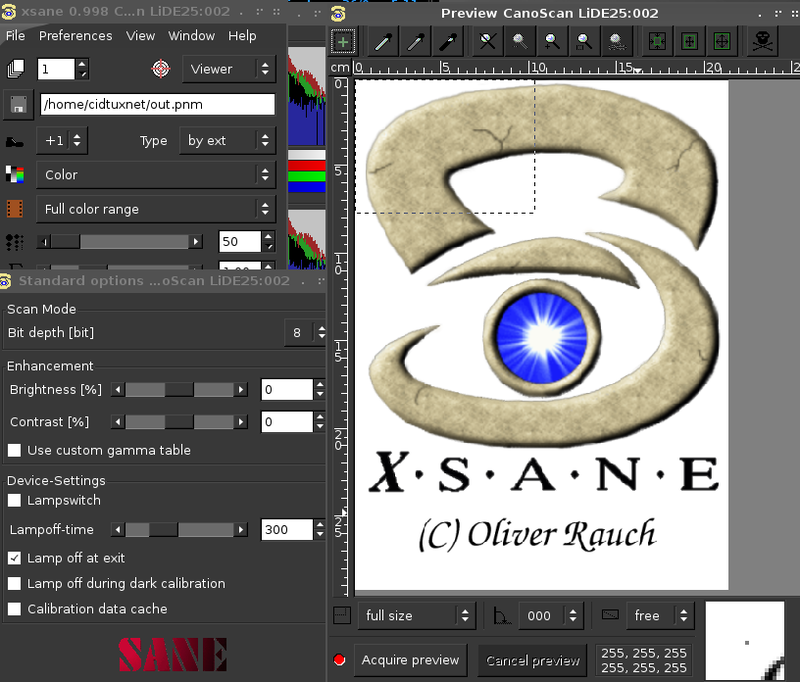 Run xsane, on LXDE -> Start -> Graphics -> Xsane. Here's the EULA window for the first time you using xsane. Just accept it. 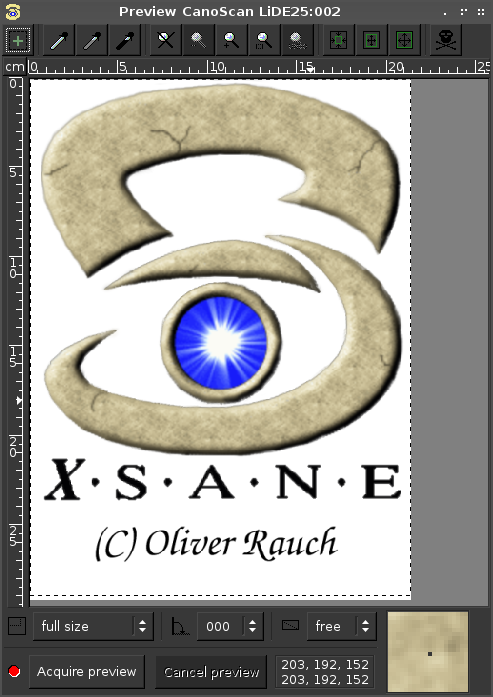 Then the xsane software will detect the scanner automaticlly (Just plug n play) :), if your scanner is compatible you will get into xsane dashboard. 1. Set the area of scanning, set by your mouse pointer. 2. Set the DPI, Higher for the better results but low scan proccess. 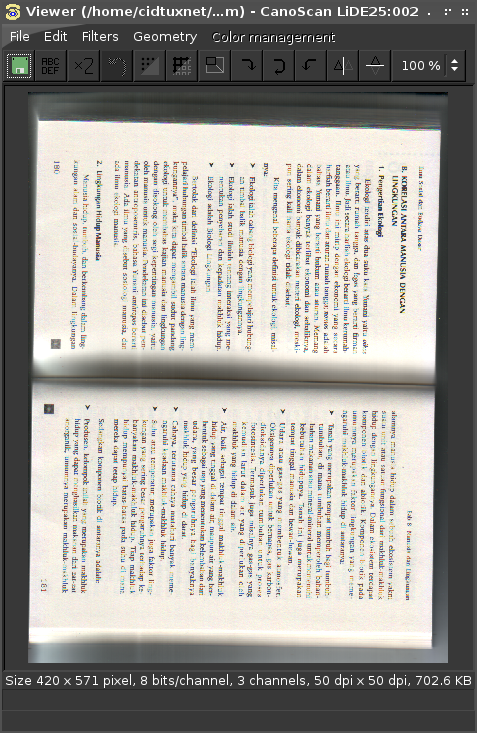 Low DPI fast scan proccess but low quality result. 3. Then click scan to scan your documents. 4. Here's some results. You can Save as image files, then edit with other image manipulation (like gimp). 5. You can also directly convert it using OCR. (For clear result only to avoid wrong recognition). 6. If your text results is not clear, you can edit it using gimp. Then convert it using gocr software.